We proudly provide IT services in Las Vegas for many local businesses. 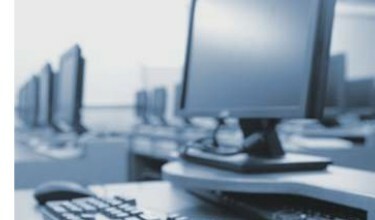 Our professional computer technicians are qualified to manage your network so you can concentrate on your business. At EMS Mobile Computer Services we believe in being proactive instead of reactive. For a small monthly fee, EMS can monitor your computers and network and cure minor problems before they become major. Data Back-up & PC Recovery – $49.99 mo. We currently manage the backup of numerous companies in the Las Vegas Valley. We utilize off-site servers with a 90 day retention period. If you accidentally deleted a file yesterday or last week, we can recover it in a matter of minutes not hours or days. The cost is very minimal (most of our customers pay $49.99 a month or less) and provides you with peace of mind in case of fire or burglary. We have the best anti-SPAM program on the market. We have testimonials from customers of how their SPAM has been reduced by up to 99%. The total cost of this product is only $1.25 per user per month and saves hours of deleting unwanted e-mail messages..
We can register, setup and host your e-mail or website for a little as $5 per month. Rest assured that your website or email is safe no matter what happens to your local computer. If your server or workstations crash, we are affiliated with Las Vegas’ largest wholesaler in case you are in need of new hardware. We can build new servers and workstations and have them installed in hour, not days or weeks. 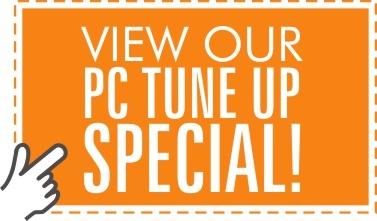 All of the new computer systems that we sell, starting at $599, come with a 3 year parts and labor warranty. We also have a large selection of used computers starting at $149. We provide security cameras that can be monitored from anywhere in the world for as little as $79 per camera. We provide you with the app so you can view the cameras from your smartphone or tablet. By having cameras you are eliminating the threat of employee theft and employees will be more productive because they know they are being monitored. Also, burglars might be less likely to rob your facility when they see the cameras. We also offer video recording. You can store all video on one hard drive and with the inexpensive cost of hard drives, everyone should take advantage of this service. Proudly serving Las Vegas and surrounding areas for over 20 years.